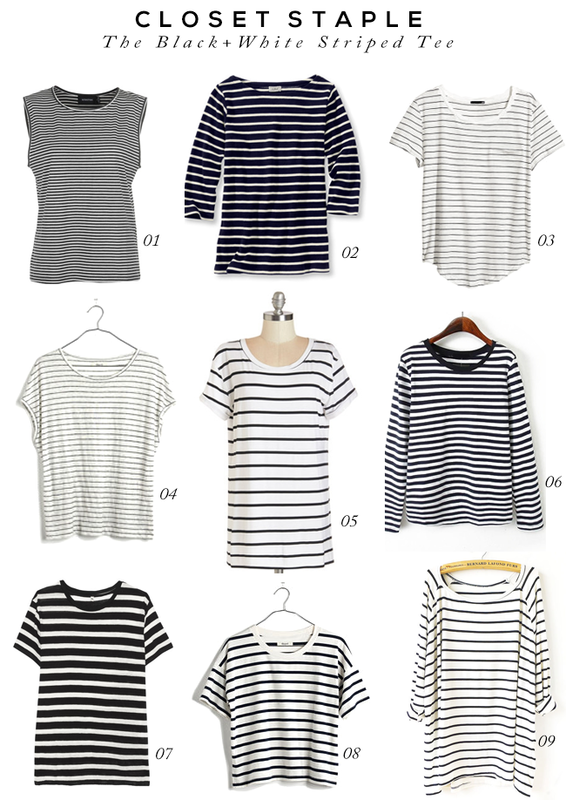 Are you a fellow black and white striped shirt fanatic? Which one should of these should I get? I have a long sleeved and a short sleeved one! I'm a huge fan of stripes and polka dot prints. And I'm a huge fan of black and white! I love stripes! They're the perfect basic! My fave is #9. I'm big into 3/4 length sleeves, and that one would be great for layering. PS - Thank you for your sweet comment on our home!! Love stripes, I've got a long sleeved one. I like that even though they all have stripes, they are very different. My fave is the one from H&M. I need another striped shirt like I need an extra hole in my head. And yet, despite the extent of my collection, I find myself coveting at least three in this round-up. The thing about striped shirts is that even though they all have stripes, every single one is unique - and they go with everything.